Please do not link directly to this page. For the book, link to nataliefalls.com/books. This page has information and resources to get you started sharing about the book. Thanks for your help getting the word out! 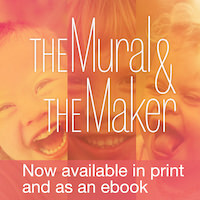 The Mural & The Maker is available in print (directly from nataliefalls.com only), on iBooks (for anyone using an iPad/iPhone), as a .pdf (for any other devices), and on Kindle. We have not found a way to make the Kindle version free, and it does not have the photos in it, so we are not emphasizing the Kindle version. If you're writing your own tweet, use hashtag #themuralandthemaker and mention @nat_falls. Include link to nataliefalls.com/books if you have room. Pinterest: Pin the cover image from nataliefalls.com/books (put your mouse over it or tap on it, then click/tap the Pin It button in the upper left). Here is a summary of the book that we recommend: "That moment when you decide, I'm going to be a writer, and all the memories you don't really want to remember flood your mind. But you need the flood because you will come out of it a different person. For three years I have been writing bittersweet vignettes of motherhood. Times of devastation, like when I found out my son had Down syndrome. Or that time I knelt on the bathroom floor and cried in agony as I said goodbye to another unborn baby. The days of joy as I found humor from my children. The unexplainable moment when I delivered my daughter in the shower. It's all here. I am learning to trust in the brush strokes of the Maker. When parts of the painting look awkward, I have to remember that there is a bigger picture. I ask him to help me find beauty in what I don't understand." Please attribute the quote to Natalie Falls, mention the work, and link the name of the work to http://nataliefalls.com/books ("—Natalie Falls, The Mural & The Maker") directly below quotes. Post the square photo below (on the iPhone, tap on it and hold until you see a a menu pop up, then tap "Save Image". Open instagram and it will be the first photo in your Camera Roll). Or, post a photo of you reading it (bonus points if you can see the cover art!). 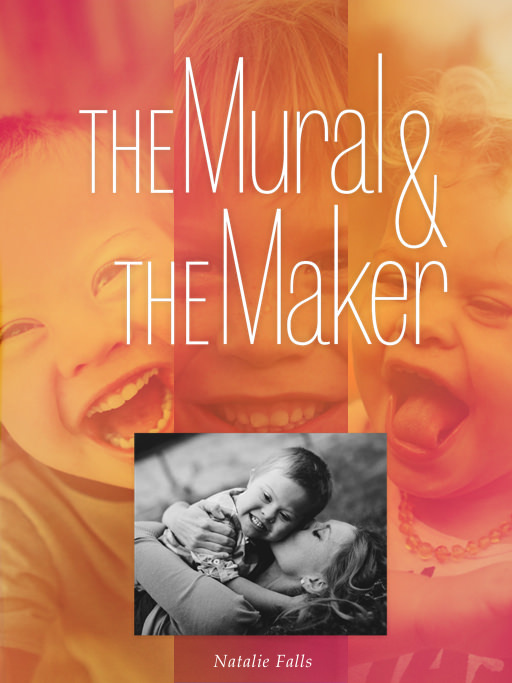 Hashtag #themuralandthemaker and mention @natfalls. Feel free to use this in blog posts or emails. For posting on Instagram, use the Instagram image above. If you need a higher-resolution version of the cover image, please write an email (using the contact form at the top of this page). Feel free to include this shot in blog posts etc.